Researching is a skill most of learn in school and use daily for a variety of reasons without even realizing it. Whether you're looking for a new recipe, fact-checking for work, watching YouTube tutorial videos, or trying to learn more about a person by stalking their social media accounts, you're performing research online. If you're looking to work from home, there are quite a few opportunities that will allow you to put your research skills to the test. 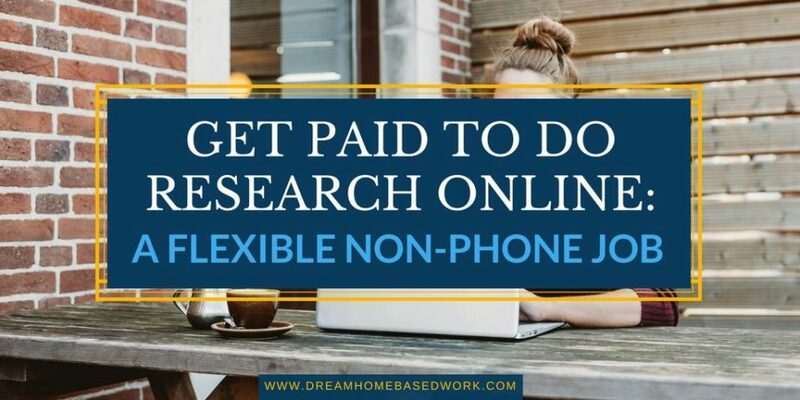 If you're not a fan of home-based phone jobs that involve customer service, get paid to do research online instead. Below are 6 companies/websites that will pay you just to do research. Sounds awesome right? Ask Wonder is a website that people use to get answers to their questions in 24 hours or less. The website provides a fast turnaround with quality answers thanks to the analysts working on the team. To get started, you need to apply here. Then, you'll need to demonstrate your research skills by completing a simple online quiz and trial assignment. If your application gets accepted, you can start researching and earning money. Wonder will assign you requests to work on. You'll need to find the answers and sources then submit your work by a deadline. Analysts get paid twice monthly via PayPal. 10EQS is a company that provides crowdsourcing solutions to businesses. They occasionally hire at-home Subject Matter Experts who can research and answer questions in their areas of expertise. Since Subject Matter Experts solve important problems, you’ll need expert experience in your chosen area along with research skills to help clients succeed. While there is an option to do phone work, it's not required and you can work online with clients. IT-BOSS Research is a woman-owned home-based business hiring court researchers for independent contractor positions. A court researcher is someone who's hired to pull requested legal documents in their local area. Some researchers are assigned two or three counties to perform research in depending on size and workload. 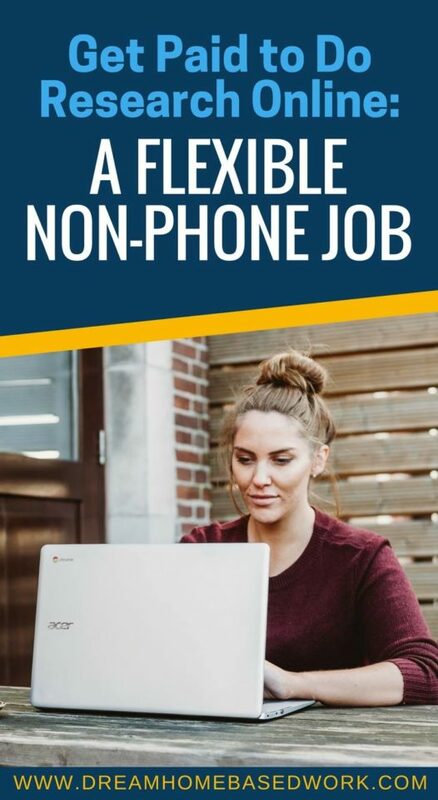 While this job is flexible, it's not a complete work-from-home job since you'll be required to visit your local courthouse to obtain documents. However, you can do the bulk of your research work from home by pulling up public documents. On average, IT-BOSS Research pays independent court researchers around $10 – $15 per hour to start. Experts 123 is a site that allows you to answer questions or write expert articles for cash. If you have certain expertise and can research well, you can answer questions and contribute helpful articles at your convenience. You can sign up to become an expert contributor in order to receive a revenue share. This means that you'll get a portion of what the site makes when you write articles. JustAnswer is another site that will allow you to get paid to do research online and answer questions When you sign up, you must choose your expertise and there are more than 175 categories to choose from including medical, law, pets, plumbing, writing, finance, etc. You will need to verify your credentials for your area(s) of expertise before you get start answering questions. If your answer is accepted, the site pays 20% of the user’s payment for the answer. Have you ever thought about making extra money from home as a researcher? Which one of these sites would you be willing to try out?